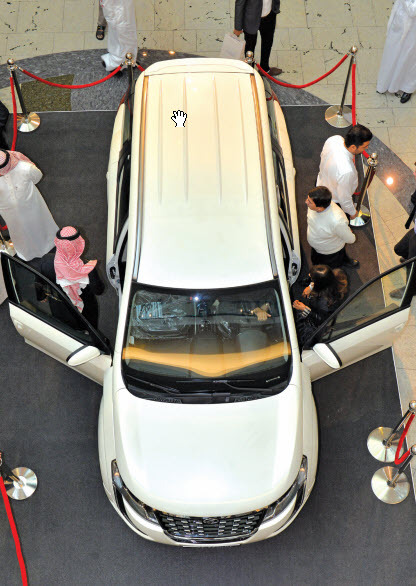 Organised by Supercars Club Arabia, members and guests got the chance to try out some of the most the world’s most exclusive and iconic sports cars and share their love for the brilliant beasts, from marques such as McLaren, Porsche, Ferrari and more. The track day also showcased some historic cars, including the Maserati MC12 and the Porsche 1 GTR - of which only two exist in the world. 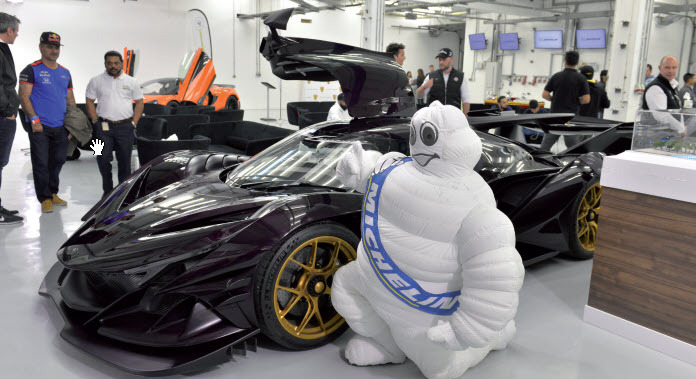 However, the star of the show was the Apollo Intensa Emozione, one of only 10 bespoke models in the world, which was recently purchased by a Saudi VIP. The vehicle, often called the IE and is Italian for ‘intense emotion’, is a mid-engine sports car manufactured by Apollo Automobil GmbH, designed by Joe Wong. All 10 have been snapped up, with a price tag of $2,670,000 (BD1,006,456). The exterior design is based on airflow and nature, insects and marine animals in particular. The interior is based entirely on the nature theme, with a cocoon-style carbon fibre tub cockpit, in the style of a leather-wrapped prototype race car. The Intensa Emozione uses an Apollo 6.3-litre naturally-aspirated V12 engine developed by Autotecnica Motori and HWA AG. It produces approximately 780bhp with 760Nm of torque. The machine is capable of 0–100kmph in 2.7 seconds, with a projected top speed of 335kmph. It is made almost entirely out of carbon fibre, but it does include high-strength steel, aluminium and titanium components. Supercars Club Arabia was founded in 2014 by race ace Shaikh Salman bin Isa Al Khalifa with the vision to create an exclusive supercars network to explore and experience the world’s best roads for the ultimate supercars driving experience. In November 2014, 50 supercars took part in the first tour #DesertRun which started in the UAE and continued across the border into Oman. Since then, Supercars Club Arabia has been organising and managing international tours and other exclusive events. According to board member Khalid Al Kinnah, prospective members not only have to own a supercar, but they have to be super people too. “It’s amazing how far we’ve come in a short number of years,” he said. “We now have more than 200 members. It was originally Bahraini members only, but we expanded into Dubai, Oman, Europe and now North America. “Events like these are designed to bring members together, and also show off these fantastic new models like the Apollo.